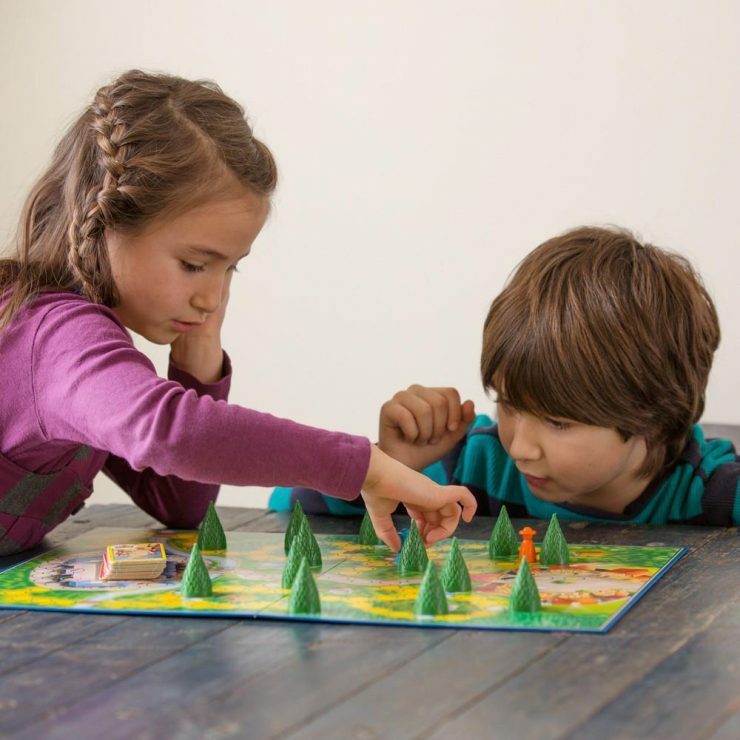 Playing games with your children can be fun; the relaxed time spent focused on a shared activity can be its own reward. Sometimes, you might even have a laugh over the progress of a game or a chat about what is happening in your children’s lives. 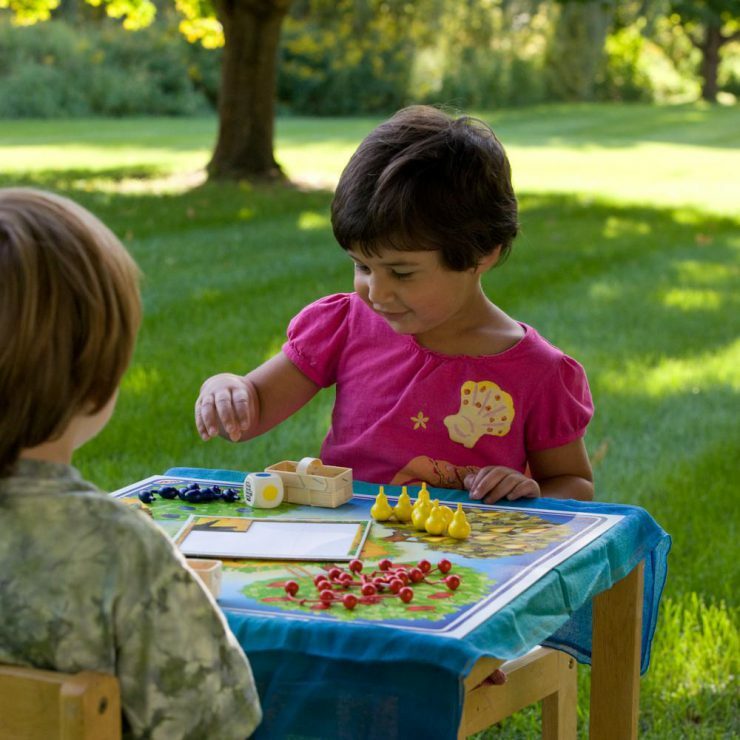 But, the game table may also be far from an idyllic moment in a hectic day. Here are a few ideas that might help everyone enjoy it more, or might at least cut down on the number of tears. Try to avoid games you cannot tolerate. I, for example, threw away two copies of Candyland when my children were small. A game made for a two- or three-year-old should be carefully vetted because it can very likely be so boring that a parent will feel resentful three minutes into the game. There are ways to include very young children in games without driving older players to endless yawns. Introduce the idea of children helping an adult play a game. You will have to figure out what level of help they’ll need to give to be involved in the game, but it is especially helpful for young children or children in a phase of poor sportsmanship. For young children, they can come and go without disturbing the flow of the game. They can also learn the paradigm of gameplay in games that are geared to older players. 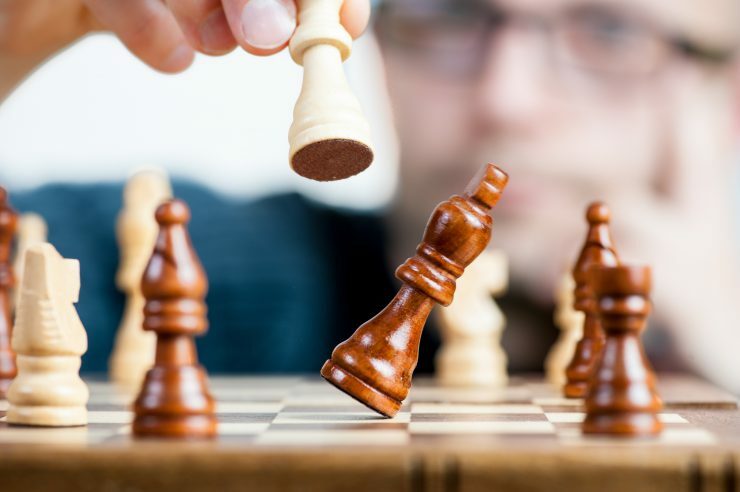 Most children go through times when winning becomes so important that playing games can be unpleasant; when they are less invested in the game, they can be involved without triggering that intense need to win. Do play games your children enjoy. One of my children likes really long, complicated games with entire books of rules. It’s important that he get to pick family games, so we find ways to make this sort of game work for the whole family. Getting to choose the game at least sometimes can help be a good sport when it’s another person’s turn to choose. With your children, you might need to find the unique set of compromises that work best for your family when choosing a game. Consider which compromises are most important. You might keep a list of shorter and longer games and help your children choose from the list that best fits the time available. The ease of setup or cleanup might be another consideration. Choose carefully. If the menu of games in your house includes only competitive games, family game time might always be a little too charged. Adding cooperative games to the mix means there’s a fallback position when children are in a win-or-cry stage. You can also invite your children to re-imagine kinder rules for a game; this encourages a flexibility of mind and attitude that we personally like to foster. Know when to call an end to the game. It can be hard to leave a game unfinished for some of us. But, be aware when participants attention is waning or emotions are running high. A timeout to get a drink or get dinner started may be all that’s needed to restore interest or equanimity. Sometimes, though, it’s just time to clean up the game and save it for another day.